While you might be thinking about your next visit to the beach right now, with bird hunting season just around the corner, it's a great time to plan your fall hunting trip. You can find tools to get started on planning your fall bird hunting trip right on your mobile device. GEMS and Mi-HUNT are two DNR-developed programs to help you build a public-land hunting itinerary. Nineteen GEMS (Grouse Enhanced Management Sites) in the northern Lower Peninsula and Upper Peninsula will be available to explore this fall. GEMS are large blocks of land managed for young forests, with winding hunter walking trails that provide added comfort to those unfamiliar with an area or those with mobility challenges. Visit michigan.gov/gems for an interactive map, information about individual GEMS, custom maps and information about local businesses showing support by offering discounts. Pick out a GEMS location or two you want to visit and use the GPS points or general directions and a county atlas to get a feel for the area. Print off the detailed GEMS maps or save them to your phone for later use. Drive to the informational parking area and get your bearings. At the kiosk, read about grouse and woodcock, timber activity and the acres of land outside the GEMS that you also could hunt later. Note the businesses (listed on the kiosk) that offer a great discount to GEMS hunters. Mi-HUNT is another option for hunters who already know the general area they’d like to hunt but want specific stand and road information. Visit michigan.gov/mihunt to watch the tutorials that can help you use the mapping system to its full potential. 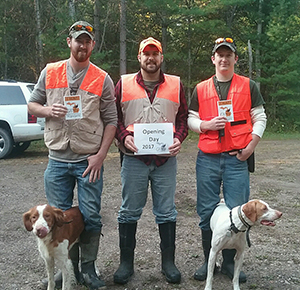 Michigan’s grouse season runs Sept. 15 to Nov. 14 and Dec. 1 to Jan. 1. Woodcock, a migratory bird, have an abbreviated season, Sept. 22 to Nov. 5. To hunt grouse and woodcock in Michigan, hunters only need a base license. To target woodcock, a free woodcock stamp is required. Licenses and stamps may be purchased online at E-License or at one of the many license agents across the state. Past ruffed grouse and small game surveys and reports are available to review. Business owners interested in offering discounts to GEMS hunters may contact keenk1@michigan.gov to find out how to become a GEMS business partner. For more information, contact Katie Keen at 989-385-0336. 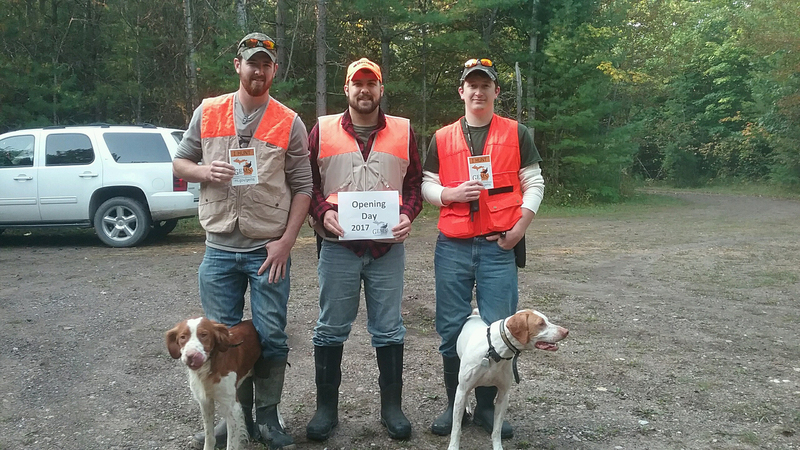 GEMS hunters: Hunters enjoy the 2017 opening day of ruffed grouse season at the LeeGrande Ranch GEMS location.